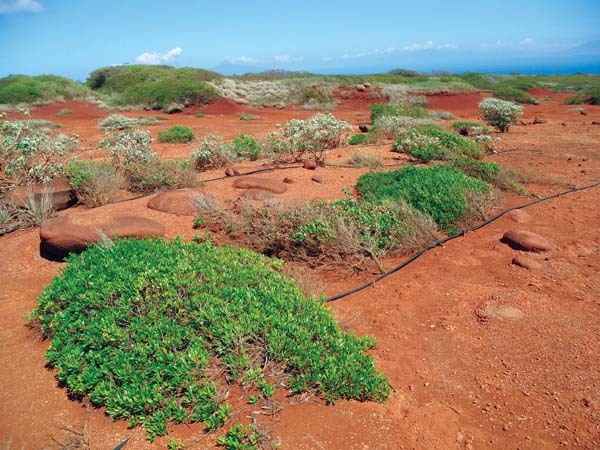 Lyman Abbott could hardly contain his excitement after recently returning to a Kahoolawe watershed site that he had not seen in a decade. 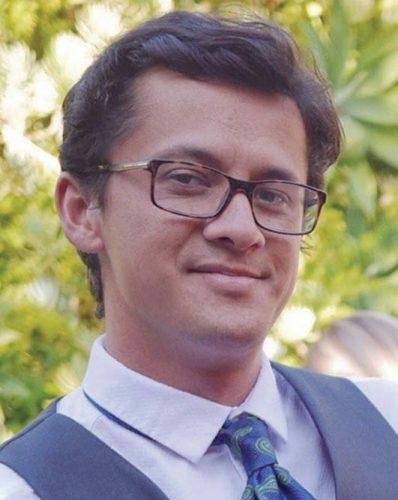 The revisit was prompted by a one-year grant by the state Department of Land and Natural Resources’ Water Security Advisory Group to further restore 100 acres in the Hakioawa watershed. The $100,000 grant, effective from Sept. 1 to Aug. 31, will allow the commission to plant 10,000 native plants and construct 500 feet of soil erosion control devices. Abbott has been managing restoration work at the watershed since 2003. He has helped establish about 100,000 native plants in the area with shrubs such as ‘a’ali’i observed to be naturally reproducing. Kahoolawe has 24 watersheds including Hakioawa, which has been identified as a priority area by the DLNR and state Department of Health Clean Water Branch. Kaulana is the island’s other priority watershed. “We’ve lost 10 to 12 feet of soil, so all that we’re left with is hard clay,” Abbott said. Until now, the commission has focused on establishing native plants and restoring soil to the island. Healthy plants and soil are keys to reducing surface water runoff, increasing groundwater recharge rates and raising the water table to usable levels. “Rainfall can do one of three things: completely run off the island and into the ocean, which Kahoolawe has a bad problem with; be absorbed by soil; or absorbed by plant roots in the soil,” Abbott said. “The ideal is soil absorption and plants absorbing water — the worst is the water runs off and creates pollution and sedimentation. An existing 1-acre roof catchment system, two storage tanks and a solar pump will support a pre-existing irrigation system and deliver water to the 10,000 new native grasses, shrubs and trees, commission officials said. Planting naio — trees that host many native Hawaiian insects such as the endangered yellow-faced bee — will be emphasized. Two species of hylaeus and other plants such as ‘ohai and ‘ilima will be planted. 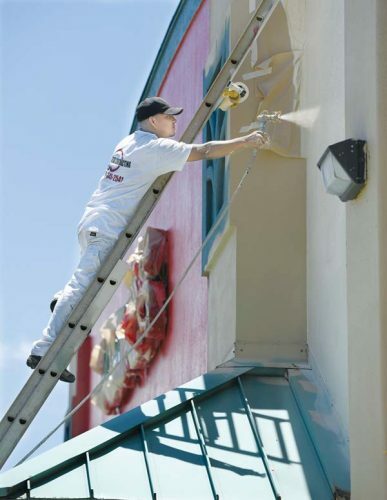 The project also will improve habitat for the endangered Hawaiian Blackburn’s sphinx moth. The work will take about 200 volunteers and 3,000 hours of work, said Kelly McHugh, public information specialist for the commission. She said Abbott will be leading groups of 15 volunteers every month and providing their housing, meals and transportation. The commission typically operates on short-term grants and tracks short-term data. However, workers on this grant will be recording long-term results. “We haven’t done 10-year studies before. This will be the first time,” Abbott said. As part of the data gathering, Abbott and his team will conduct studies to see if restoration areas have higher infiltration rates of water than unrestored areas. They also will measure the height of stream water and how many cubic feet of water pass through. Abbott has graphs from stream gauges 10 years ago and will be able to compare discharge rates between the two time periods. He also will be able to determine the sediment levels in the stream. “Kahoolawe has a great regime where there’s very little impact from humans so you can study science out there pretty purely,” he said. The destruction of Kahoolawe began over 200 years ago, when Capt. George Vancouver introduced goats in 1793, according to the commission. Vancouver would bring sheep in 1858 and kiawe in 1900. Goats and sheep likely destroyed much of the vegetation cover and promoted soil erosion, the commission said. The devastation probably caused an increase in runoff, resulting in a decrease of ground water recharge. The goat population reached about 50,000 on the island from 1941 to 1988. Kiawe is “strongly suspected” of degrading the freshwater to slightly brackish shallow ground water at low altitudes by inducing saltwater intrusion, according to the commission. The invasive tree also has been observed to send its roots tens of feet below the ground surface in search of water. After the attack on Pearl Harbor in 1941, the island was used as a bombing range by the U.S. Navy. Bomb craters and heavy vehicular traffic caused a significant increase in wind erosion and further soil loss in the central highlands. The bombing ended in 1990 amid a flurry of protests and lawsuits with the island placed under the commission. Control of access to Kahoolawe was transferred to the state in 2003. The commission eventually hopes the entire 766-acre Hakioawa watershed returns to its dryland native forest origins. The only other dryland forest Abbott could recall in Hawaii was on the Puna side of the Big Island. 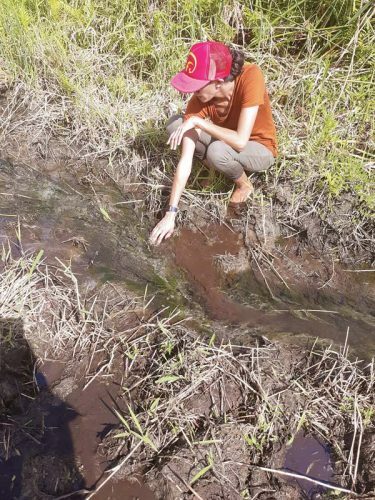 It will take generations to restore the watershed considering about a third of the island is bare soil that lacks organic matter or micronutrients.